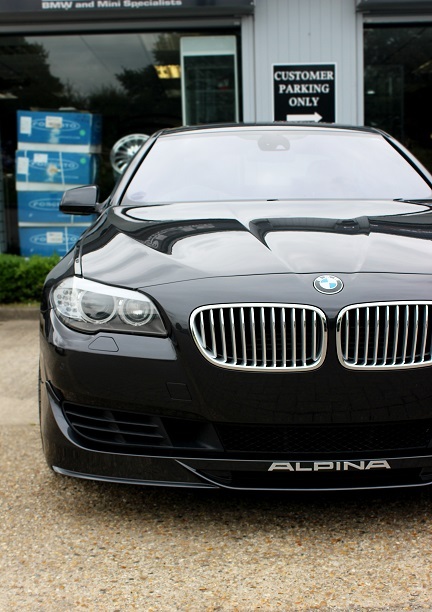 The ALPINA B5 BiTurbo takes charge housing its V8 4.4 litre with, as the name suggests, a twin-turbo. The eight-speed transmission co-developed with ZF blends sport and comfort cruising to provide the ultimate driving experience commanded by ALPINA. 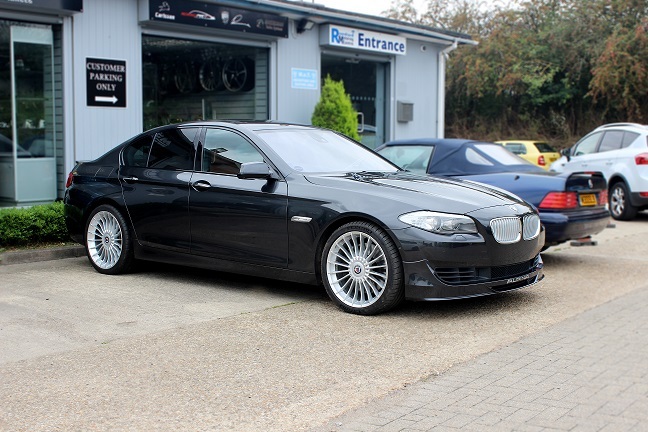 Based upon the F10 shape, only nine of the saloon B5’s were produced and delivered to the UK market, making this a rare sight and in top running for this month’s COTM! Our customer came to us after his ALPINA splitter had unfortunately had a run in with some motorway debris. 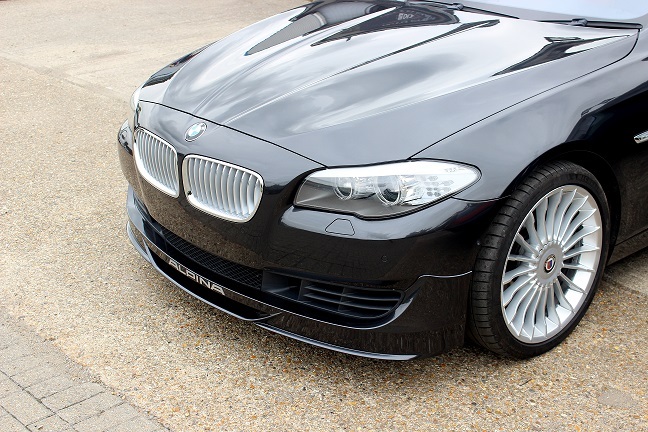 Un-repairable, we were able to source a new splitter, colour match and paint the silver ALPINA decal as desired. But he didn’t stop there – spraying bonnet, front and rear bumper, front and rear wings – this B5 has had a full touch up. To add, wheel refurb, fully chrome grilles, 12 and 15mm spacers, engine bay detailing and an MOT to make sure everything was all in check, this B5 has been well and truly treated. To finish, our customer opted for performance gains – a custom remap hitting the dyno at a staggering 583WHP! We hope it’s putting a smile on his face as much as it did for us to see and spruce up this rare beauty! Want to treat your pride and joy but not sure where to start? 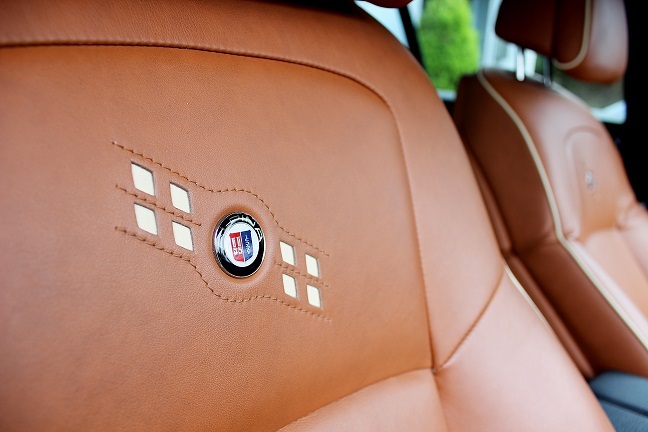 We can cater for the majority of BMW models including ALPINA. Call one of our specialists on 0208 598 9115 and we will be happy to help!